It's quite insane to think that we are already 1/4 of the way through this year already, it doesnt seem like 5 minutes since New Year. However, i must say that I'm very glad that Spring is finally here as it's one of my favourite seasons. Throughout March, I've discovered and rediscovered some absolute gems and I've found myself sticking to the same products for most of the month. The Urban Decay Naked Palette is definitely no stranger to my blog; it's one of my favourite eyeshadow palettes and I always come back to it time and time again. 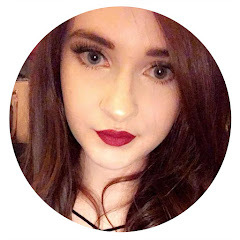 Since I've become addicted to Pinterest (feel free to follow me here) I've found loads of different tutorials on different eye looks you can create with the Urban Decay Naked Palette and I've really been loving playing around and trying them all out. The thing I love the most is that even if i attempt the same tutorial multiple times it always ends up looking different each time - this palette is so versatile and I've really been enjoying using it. I'm quite fickle when it comes to blush and whilst i like many different ones it's rare that one comes along that I'll continuously use but the Max Factor Creme Puff Blush in Seductive Pink* is a blush that i just can't get enough of. The marbled detailing in the baked formula is just stunning and the multi tonal pigments compliment and enhance the skin tone, they're not heavily pigmented but they are buildable. They give a really lovely natural hint of colour to the cheeks and I know this is going to remain a staple in my make up bag for Spring. For a lightweight day to day base, I've been using the Inika Mineral Foundation in Nurture* and to my surprise, I've been absolutely loving the coverage and the natural yet flawless finish it gives. It's a 3 in 1 product acting as a foundation, concealer and powder in one making it the perfect product for any lazy girls like myself. Continuing with the lazy girl theme; on the days when I've been after a more simple eye look that requires less effort I've been wearing one colour across the lid and tight lining my eyes with Sephora Contour Eye Pencil 12 Hr Wear in Tiramisu, which is the perfect deep chocolate brown shade. It gives the illusion of fuller lashes and also looks like the eyes have been lined quite thinly. It's long lasting and barely smudges - this is one of the best pencil eyeliners i have ever used and i kick myself for not picking up more shades when i was in Sephora. It's not often i feature nail products on my blog let alone in my monthly favourites but recently, I've found myself wearing Crabtree & Evelyn Nail Lacquer in Apple quite a lot. I love wearing red nails, i think it's such a classic look and it's one i wear time and time again. Ive had this particular nail lacquer in my collection for ages but I've just never used it. It has such a lovely formula; it applies evenly, dries easily and it lasted pretty well on my nails before chipping too. I almost feel like I'm cheating with this final product because I've honestly not stopped loving and using the Studio 10 Visible Lift Face Definer* since i got it last year - it's honestly one of the best contour products i have ever used. The colour is perfect; it has a grey tone to it which works really well at creating shadows especially on fair skin like mine. You also get a blush and highlight which i don't use as much but they are lovely additions to have in the palette. Those are the beauty products that I've been loving this month; let me know what your thoughts are on any of them if you've tried them! I always go back to my Naked palette! I love it so much! I want to try more of the shades - i absolutely love them! I totally agree with the Urban Decay Naked palette. I do have other eye shadow palettes that I really like but I always go back to the Naked palette and use that one the most. I love it, i always go back to it - regardless of how many other palettes i buy and love its just a staple for me!